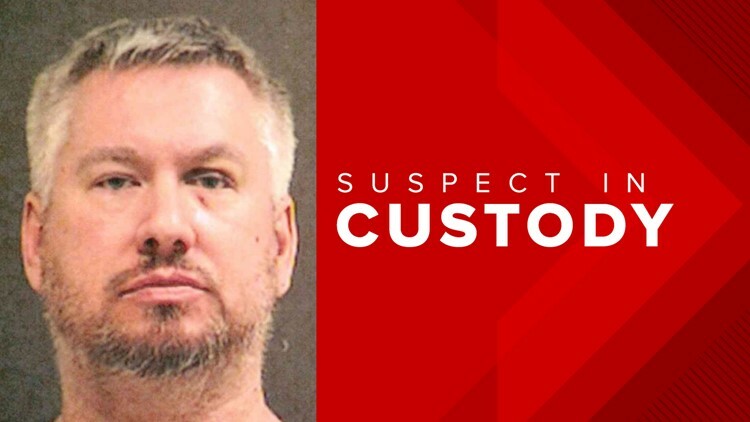 Brian Couture was arrested for theft and making a false report, which is something police say they take very seriously. FOREST GROVE, Ore. — A Forest Grove man is accused of faking a home invasion. Investigators believe he staged the break-in to cover up a theft of money from Girl Scouts of America. The report of the home invasion caused some panic among neighbors because initially police thought someone was on the loose and even called in a K9 to search. Many neighbors are relieved to hear the whole thing was made up. "Very relieved. Very, very relieved," said Brooke Gwin, who lives down the street from where the break-in was reported. Gwin is one of many neighbors who were shaken up by the report of a home invasion. "We put sticks in all of our doors and I started setting the alarm during the day because I was afraid to be home by myself during the day," she said. Gwin said she was even told to stay inside as Forest Grove Police and several other law enforcement agencies investigated. "There were cops from all over, dogs, the forensic team, they had crime scene tape up everywhere," she said. Forest Grove police said Brian Couture called 911 just before 10 a.m. the morning of March 6, saying someone broke in through a back sliding glass door, a struggle took place, and the person took off. When officers arrived, they said Couture was unresponsive, so he was taken to the hospital. "There's a distinct difference between being unconscious and being unresponsive," Forest Grove Police Captain Michael Hall said. Police will not yet say what his injuries were, but later said they learned he faked the whole thing to cover up a theft. "It's kind of really strange though, did he hit himself in the head," Gwin asked. "He went away in an ambulance." Officers discovered Couture had access to money belonging to the Girl Scouts of America and said $740 was missing. "On Friday, a troop family reported to us that a theft had been experienced and we started our internal process when things like that take place, and then this morning we learned of the arrest and that changed our perspective a little bit," said Sarah Shipe, of the Girls Scouts of Oregon and Southwest Washington. Shipe said they are looking into it. "As stewards of that money for girls, we really want to protect that and it's constantly our top priority to make sure that those funds are used as they're meant to be used," Shipe said. Couture was arrested for theft and making a false report, which is something police take very seriously. "Well, when you weigh it against the resources that were spent, it’s very serious," Hall said. "We’re like any other industry, we have to prioritize where our resources go, and in the instance of an alleged home invasion, we are going to put the most resources on that, so that can deprive people of better service that we can offer." Couture was released from jail Tuesday morning. His family did not want to comment.